A late Victorian solid mahogany butler’s tray on stand. 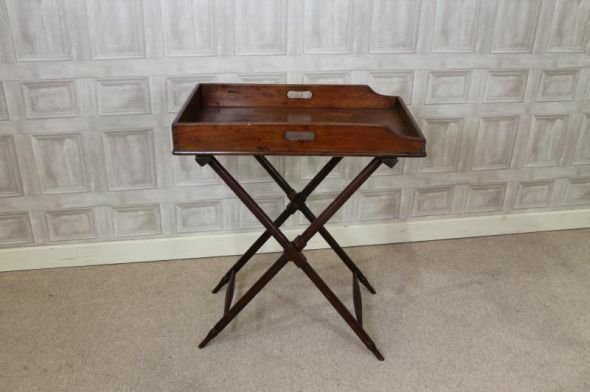 A classic piece of Victorian furniture, this solid mahogany butler’s tray is complete with its original stand. It has recently been acquired from a local house clearance, and the tray is in good condition for its age, there is just a moderate amount of wear, tear and staining. This piece is ideal as a small drinks tray in any period interior. We can send post this butlers tray for £15.00, however, it is not guaranteed. We can send the tray with a courier for £45.00, and it will be guaranteed.